Oh. my. word. This book is a must-read for every Christian. It totally challenged the authenticity of my faith, in the best possible way. It nailed on the head the way I approached belief for my lost decade in my 20s (not lost with partying or college or that stuff, mind you - just lost in terms of struggling with the overwhelming work of the home and my little children). I was a total fan of Jesus. I thought He was great. I knew the right words to say. But I was completely unwilling to live for Him in any way that required true sacrifice. This book articulates what I've occasionally mentioned on my blog - that so many people self-label as Christians in the US, but that that just doesn't jive with what the Lord says about the gate being narrow. Many people have a codecil to their Christianity, just like they do to their marriages. Most everyone stands up and vows, in front of witnesses, to stay together "till death do us part". But still over half of marriages fail. People say it while holding their fingers crossed behind their backs. That may be, in some cases, blatant - they never really had any intention of honoring their vows. They were just empty words. But I think, for most, it's not an overt act, but an unwillingness to sacrifice, down the road, when push comes to shove. 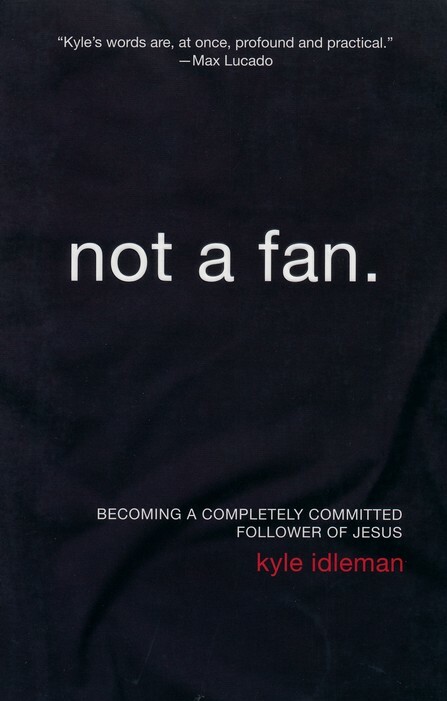 That's what differentiates a Jesus fan from a Christ follower. In the moment, when they profess belief, they think they're all in. But when the going gets tough or boring, or clashes with their wordly desires, they pull back and say "hold on, God, that's too much". You cannot only have God on your terms. It's all in, or don't bother. Sorry for giving away the jist of the book, but I'm THAT enthusiastic about it. 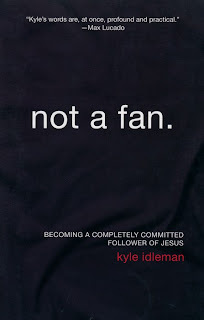 Kyle Idleman is much more eloquent than I, though, so most definitely put this on your TO-BUY list, and then pass the book along to a Christian friend who needs it. this book seriously sounds fantastic. Loved reading your post on it, sure do agree with everything you wrote. Thanks for sharing about your reading! Definitely going to read it now - I was interested before. You sold it! Kimberly - We definitely need to do a book swap when you are done with Desperate! Serena - Please do, I'd love to hear what someone else thinks about it. Holidays - Out with the "New", in with the "Old"